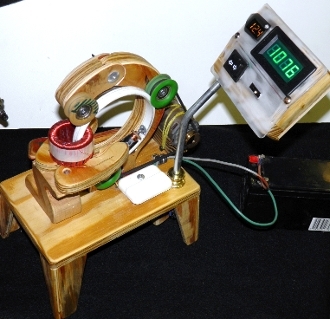 THIS MACHINE IS ALL WHAT YOU NEED TO START TO MAKE YOUR OWN TOROIDAL TRANSFORMERS, CHOKES AND POWER SUPPLIES. THIS VERSION INCLUDE THE POLARITY PROTECTION, VOLTAGE METER AND WIND COUNTER. IT REQUIRES A POWER SUPPLY OR BATTERY OF 12 TO 18 VOLTS. AVAILABLE HERE. IN THIS WEBSITE.